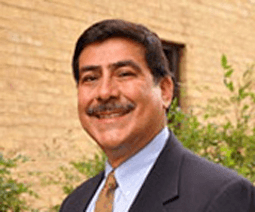 Henry Romero has more than 35 years of Federal HRM experience. The culmination of his Federal career was as the Office of Personnel Management’s Associate Director for Workforce Compensation and Performance (1997 through 2001) where he was responsible setting policy and administering compensation, position classification, and performance management and recognition programs for the Executive Branch’s 1.8M employees. Henry was Director of Personnel for the U.S. Department of Justice and served in various HR leadership positions within the Office of the Secretary of Defense and with the Department of the Navy. Henry has expertise in a broad range of HR functions, particularly pay-for-performance, HR organizational redesign, and the changing role of the HR practitioner. He is a thought leader and frequent op-ed contributor on HR topics including compensation trends and issues, position management and organizational design, and performance management. Henry holds a B.S. in Secondary Education from the University of Texas at El Paso and an M.P.A. from San Diego State University.